It’s official, my Groom has something to wear! BIG, VERY EXCITING NEWS… our tartan has been designed AND ordered. One of the main wedding-oriented tasks we wanted to accomplish on our trip to Scotland was the making of this tartan. After much encouragement from American family and friends, I was surprised when the Scottish’s friends were the ones who thought it was a little unnecessary and over-the-top. I guess it makes sense, their culture doesn’t buy into the crazy, big weddings that we do on this side of the pond and while they are all so excited to come to the wedding, they are just being practical and I totally understand that. 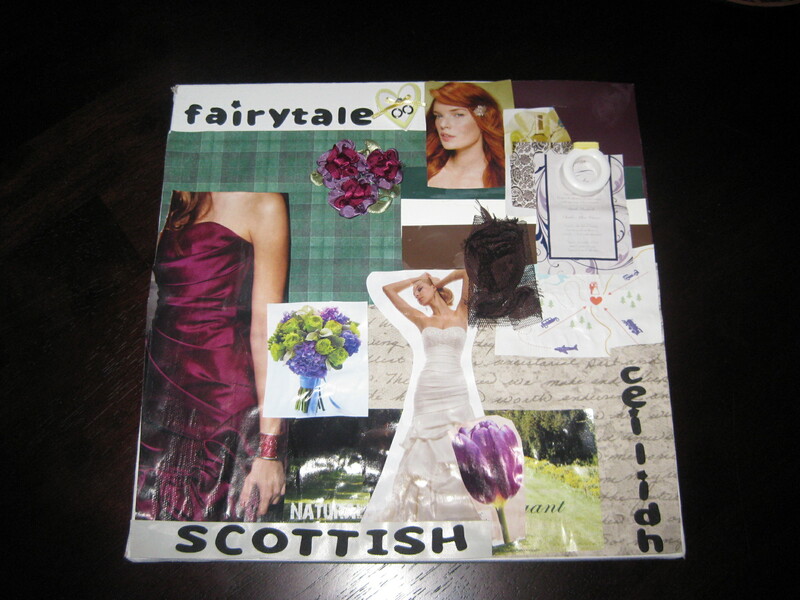 But since making a family tartan was deemed “top of the list important” to the Scottish and I, on the day after my arrival the Scottish and I sat down at a website that not only let us pick our colors but also arrange each color at different widths. We decided to follow a pattern we liked so that our tartan had a good chance of looking somewhat normal. Our colors were taken from the wedding theme and I’m thrilled with the result. Once the kilt was designed, the Scottish went online to register it. We recently found out that we can’t use just the Scottish’s surname because your clan/family name would have to be registered by the the Court of the Lord Lyon in Edinburgh and that is usually reserved for historic family clans that already have tartans. And I totally get that, plus we can’t just make a kilt for every person with that last name, but we CAN make it specific to our branch of the Scottish’s last name. The woman at the Scottish Register of Tartans suggested we use both of our last names with a hyphen in between. So not only will my new last name be associated with the kilt but also my maiden name, pretty cool right? We have to wait about a month and a half before it arrives but I can promise you there will be a follow-up post with more details. 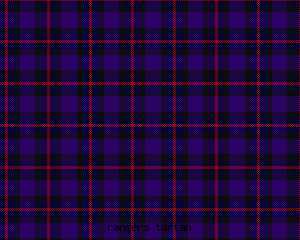 2) We now have a family tartan!! 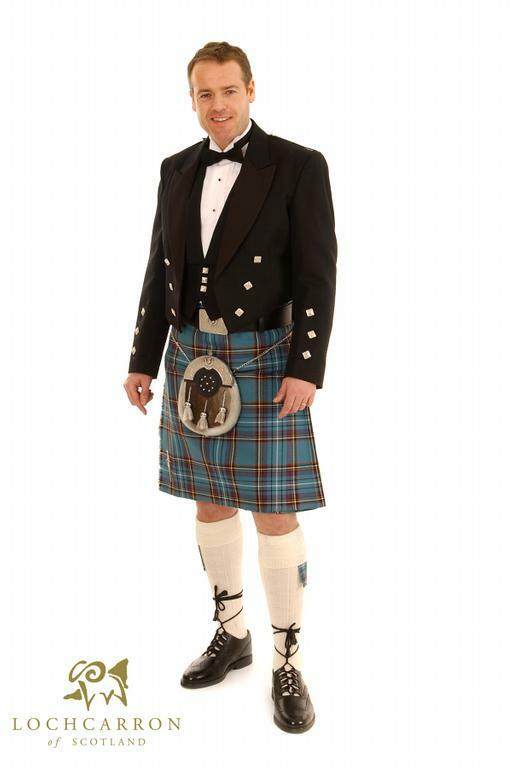 For those of you who’ve read about my kilt woes then you understand how much I wanted this special element of his culture to be incorporated into the wedding. I picture us passing down the tartan from generation to generation, and it’s my way of embracing his country and it’s traditions (which isn’t always easy with us living in the US). 3) This is one more thing we can check off the wedding to-do list! Usually it’s the bride who orders her dress first because of the time it takes to get in and altered, but in our case, the Scottish got to join in the joys of formal-wear-ordering-fun. 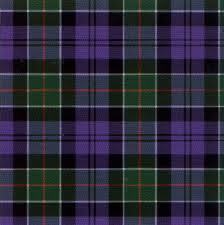 Before I unveil the design, here are a few tartans we looked at for inspiration. 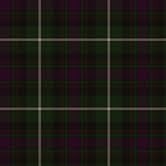 Unfortunately it’s a small photo and it’s nearly impossible to see all the different lines of color, but the majority of the tartan alternates between plum and a forest green. I’m sooo curious to see how the colors look in person! Finally, I know it’s not good etiquette to talk about money and budget when pertaining to the wedding but I pride myself on the honesty of this blog and I like to express gratitude when it’s due. The Scottish and I are grateful to his parents for helping with the monetary expenses of buying a custom-designed kilt, and want them and everyone to know how special they are to us. Soooo, we had our first big budget-stressing WR fight tonight. About Kilts. One of us thinks it’s too expensive to get a custom kilt made and legally registered to the Scottish’s last name. The other person thinks it’s worth the money for a lifetime of family memories. Can you guess who is on what side? My logical, realistic, super smart Scottish fiancé believes we should NOT go the custom route because we simply cannot afford. He says it’s something we can do in three years time. My opinion is this, when is there ever an extra 1500 dollars lying around to spend on a specially made tartan and all the accoutrement that go with it (and trust me there’s a lot of things, including but not limited to a man purse and a knife type thing)? There is always something expensive to buy no matter the stage in life, ie. car, house, babies, living in Chicago, etc, so why not now? Why not have the beautiful memories captured on film of this one-of-kind kilt for generations and generations to come? This isn’t for us, this is for our kids who are going to grow up learning about America and Scotland, this is for our grandkids, this is for Scottish Mum and Dad, for his wee sister, for everyone! I can see my future and I can see my adorable children and I get tears in my eyes. I want them to know both cultures and I can’t think of a better way to start off our life together than with my FH wearing a kilt representing his Scottish last name. I can envision him buying one down the line and wearing his family clan’s kilt to someone else’s wedding for it’s first outing and it just breaks my heart. I know it’s not in the budget right now. Heck, most things I want do not fit in the budget right now! But I am a romantic at heart. I am hopeless and family oriented and passionate and would be so proud to have his family name attached to his wedding garb. You know I’m serious because I started taking stuff OUT of the budget. I offered to nix a videographer and also take money from my dress budget. It’s that important to me. Sigh, I love my fiancé and this will all get worked out and I have faith that the right kilt will be worn on our special day no matter what it looks like or what name it is associated with. So I’m going to go to bed now. Nothing more can be decided tonight. PS I had a post started about how wonderful the Scottish is and how happy I am to be engaged! All still true, but life is funny sometimes. I guess that one will have to wait! PPS Blogging = best wedding therapy yet! The most amazing thing happened! Last night, the Scottish and I were invited to an engagement dinner hosted by some of our good friends. The food was amazing and the night was great but that’s not the story. I was attempting to show some of the girls my “proposal reenactment” video that has the Scottish and I standing happily in front of the big window and my mother asking us to put on the ring and commenting on how she was glad she didn’t mess up this time. Then I pressed play on what I thought was just a video of the view out the window and it turned out to be MY ACTUAL PROPOSAL. SHUT UP. NO WAY. The moment, as brief as it was, HAS BEEN RECORDED. I have that memory forever and I love how happy and surprised I look in it. I love the randomness of it and the fact that my mom can’t hold the camera straight because she’s so happy too. The Scottish is so quiet that you can’t hear his words, but I remember exactly what he said and I’m just so pumped that I found it! I feel like it’s magic and the video appeared out of nowhere. I think I will post the video on the blog at some point, but not… quite… yet. Sooooo I made my wedding collage. For those of you who are like, “what the hell is a wedding collage?” It’s the hodge podge plastering of all your favorite ideas, magazine clippings, and colors on (in my case) a canvas square frame. I like mine but it’s definitely not as beautiful or as lovely as the collage in my head. And that’s OK, because these are just ideas. They are thoughts and concepts and a way to easily explain my vision to vendors, friends, and family. (More information to come on my wedding inspirations in later posts.) What do you think of my collage? 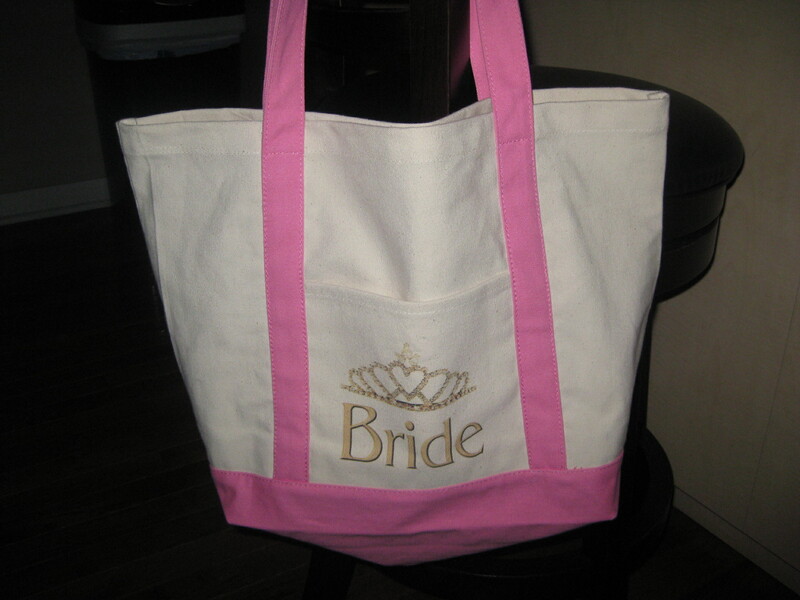 Have any other brides made one for their wedding? Did yours turn out the way you wanted it to? Last but not least, I received a gift in the mail from my family in North Dakota and I’m so in love with it! These girly bridal accessories were literally made for ME. I plan to be proudly toting this bag around for the next decade year! Remember, this is about enjoying every single minute! Thank you for reading this Friday night post. I must blog more. I feel strongly that writing is what I need to do right now. I need to buckle down and post more frequently; I need to share more, acquire more readers and get more hits. Blogging makes me happy and it’s my main artistic outlet at the moment so I’ve got to give it all I’ve got! In my head I see these foggy goals and good intentions but I also see NO FREE TIME to blog. I am going to be the busiest I’ve been in looong time due to the planning of my ultra-fabulous wedding. In the 1.5 weeks since I got engaged it’s already become life-consuming, and I don’t mean this in a negative way. I get to plan one wedding and I’m going to enjoy every minute of it, I’m going squeeze every drop of fun out of the bottle and I’m going to smile even when I’m so tired I wanna I die because I get to marry the man of my dreams and this is the most exciting time in my life! Any free time I have goes to planning, car rides with the Scottish have become wedding updates and recaps, and I’ve already pushed my bedtime back an hour (which isn’t so terrible since I went to bed earlier than my grandma anyway). Lucky for me, I have the bonus stress of planning a wedding in another state and the double bonus stress of marrying a non-US citizen and all the fun paperwork that comes along with that. 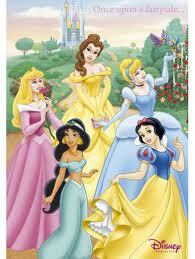 I have searched the web and there doesn’t seem to be any brides-to-be out there blogging about either topic. I mean, a wedding in Minnesota, in late winter/early spring, are you a lunatic? I know people have done it, I’ve seen the pictures but where’s the juicy inside scoop? I want to know what happened when the snow prevented your cake from making it on time and how you had to serve your guests store-bought cookies after a frantic trip to the grocery store, or how your MOH slipped on ice and ended up in the hospital for a fractured ankle but the photographer followed you all there to get some beautiful pics anyway. And hello, I know I am not the only person marrying a foreigner but why isn’t anyone blogging (bitching) about all the stupid rules and steps you have to follow, and do they really quiz your family to see if you’re in love? I need to know these things! But most of all, I want to laugh. When all of this gets so overwhelming that I can barely afford to get to Minnesota let alone pay for the caterer or the DJ, I want to be able to laugh. Or I want to cry, either one works. 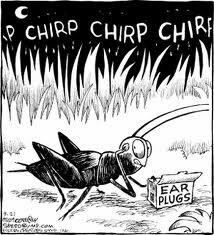 I know I have trouble going with the flow sometimes, but I never have trouble laughing. So that’s my plan. Plan, laugh, mistake, laugh, hiccup, laugh, fail, laugh (and then cry)… you get the idea. And since I can’t find any blogs with topics that fit my fancy, I will just have to write about them myself. I will make myself laugh and it will be sort of weird but I will do it. 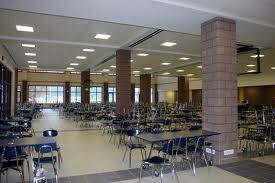 Do you see my dilemma in all of this? It’s hard to believe but not everyone wants to read about weddings all the time. *GASP* I’m already making the conscious effort to not be a one-note Nancy and only discuss wedding things with friends in person, but while it might seem excessive, this is the place where I should be able to let it all out. On the other hand, I hate to lose readers and I hate to write with such tunnel vision, but it’s only one year of my life and then I promise to talk about normal stuff again. Until I have kids. Haha, just kidding! Kind of. I still want this to be a relationship-focused blog, it’s just going to be about one relationship in particular most of the time, but within that, I can examine my relationships with my mother, sister, friends, father, brother, future mother and father-in-laws, my relationship with myself, and more! Quote: From a bridal magazine, reminding brides to not over-tax their maids: “Are you planning a wedding or running a sweatshop?” It made me laugh.